Baby Proofing Montgomery encounters a wide range of newel posts in terms of size and shape. 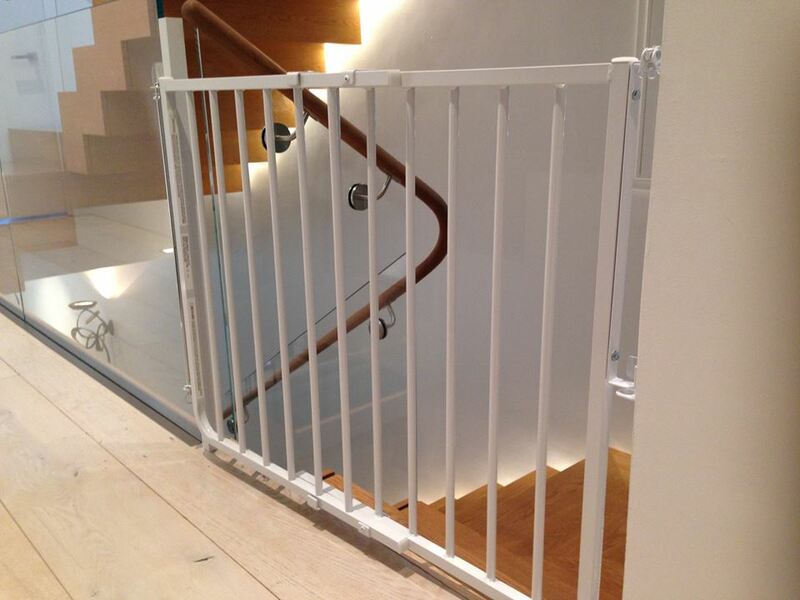 Our most common solution to mount a gate is to attach a wood rail vertically, using a variety of custom-made clamps around the newel post, depending on their size and shape. 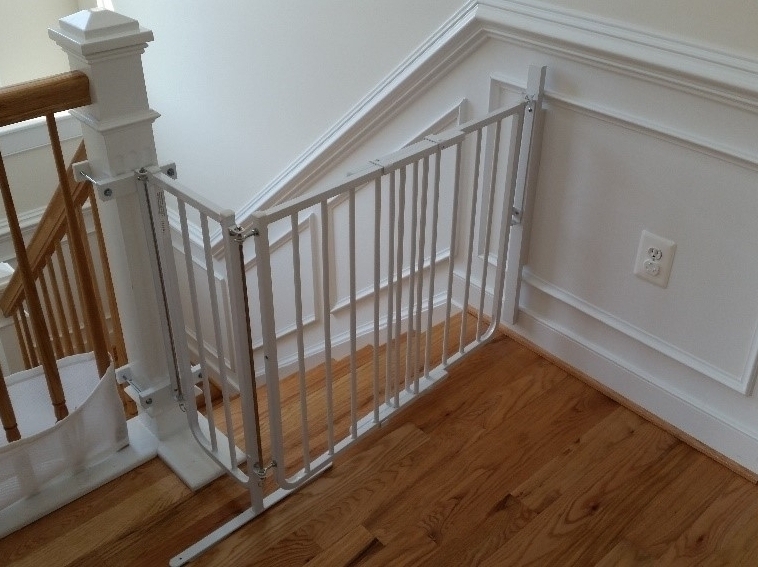 We then attach the gate hardware to the rail. These days, the architectural design of many new homes include large square newel posts, which can be more than 7” wide. In these cases, we use larger custom-made clamps. 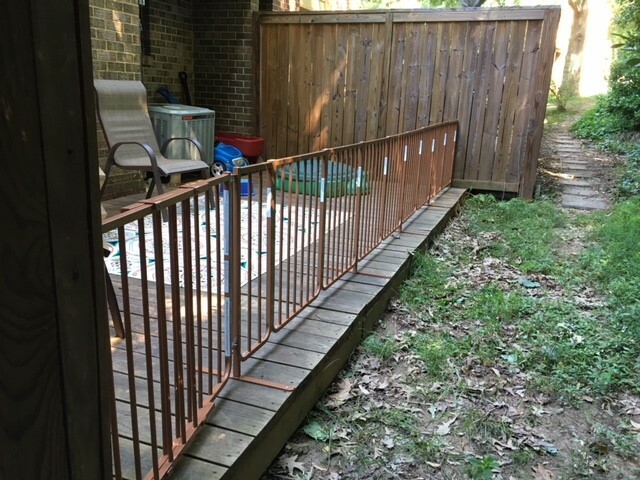 If posts have round sections with a diminishing diameter, we use shims to ensure the vertical rail is perfectly plumb for properly mounting the gate.